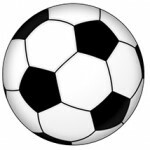 Vardaman Rams’ soccer won their fourth straight and sixth out of their last seven games with a 5-0 region win over TCPS at Carter Field Monday night. 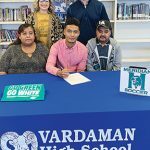 The Vardaman Rams earned a big region win over Nettleton, 7-1, last week at Carter Field and followed it up with a 13-2 victory at Philadelphia on Saturday. 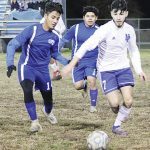 The Vardaman Rams exploded for five goals in the second half to defeat Tishomingo County 7-4 Tuesday night at home at Carter Field. 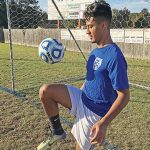 Miguel Vazquez, a senior at Vardaman High School, has played soccer all his life. 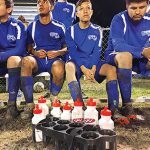 The Vardaman Ram soccer teams lost their first two games of the season to Grenada and Pontotoc. Some would say BHS has a limited number of sports available for participation. FULTON, Miss. – After the teams reported for preseason camps on Sunday, Coach David Strother and Coach Mike Sullivan announced the ICC soccer schedules for the upcoming 2018 season. 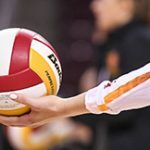 The 18-game slate proves to be another challenging one as the Lady Indians and Indians will take on four teams that advanced to the postseason last season.